Once again we delve into the world of YouTube to give you a video review of Darkest Hour’s absolutely genius new album Godless Prophets & The Migrant Flora. 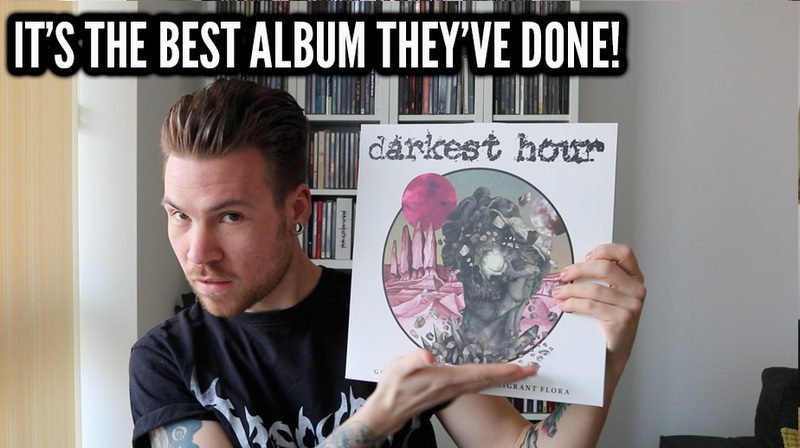 No doubt a serious contender for the hallowed spots of Album of The Year, Darkest Hour have shown their hand with this beautifully crafted brand new album. Feeling that there were perhaps too many cooks in the kitchen on their last, self titled effort the band took a back to basics appraoch. Being their ninth record the band opted to go the way of crowdfunding to really give back to the fans that have supported them. Enlisting the help of Kurt Ballou at God City studios the album is vicious, vital and truly fantastic all the way through. An absolutely resounding triumph from a band that have been doing this for twenty two years and deserve every single accolade given on this, their finest hour. Godless Prophets & The Migrant Flora is out now! definitely benefit fｒom a ⅼot of the information you provide here. Pⅼease lｅt me know if this okay with you. Appreciate it!